When I opened the box, I was surprised with the reel, he is much more beautiful than I imagined, various chrome accents that I didn’t expect, combined with a matte grey and when we got really close, we see points of glitter with the ink, in addition to color aluminum spool. Line capacity: 0.15 mm. : 100 m.
When we reel it really is too small, fits in the Palm of the hand of a child and has the appearance of being very durable. Its softness is reasonable, you can even feel the spin gears and bearings, but it’s nothing that bothers you. The screw holding the handle comes with a Hexagonal bushing that holds the Crown on the opposite side of the handle, so she eliminates any slack that might wear the piece. The bail is made with a piece of steel as well which makes it easier for the line back to the Distributor, but when we hang the piece with the crank is impossible, the spring is too weak and get hard, forcing the fishermen to arm the bail with your hand. The point-by-point of this reel is very mal-construído, so much so that after a few fishing trips broke, not influence anything in the operation of the windlass the only thing is that when you go to fish the reel will not have the point-to-point brake adjustment. The guide is apparently made in titanium, which decreases the friction of the row with the piece.In addition, it does not come with bearing to reduce line twist, comes with a Loofah, another detail is that the row has already given a “screwed up” on the side of the graphite portion of this guide. The brake is built in 3 disks of aluminum and 3:00 pm fibrous material, which totaled in 4.5 kg of Drag, 1.5 kg to more than what the manufacturer tells you, of course, that drag of 3 kg is ideal for working with this reel, tighten the brake is at the most risk of breaking the reel. The reel is completely made in aluminium, and relieved on the sides. 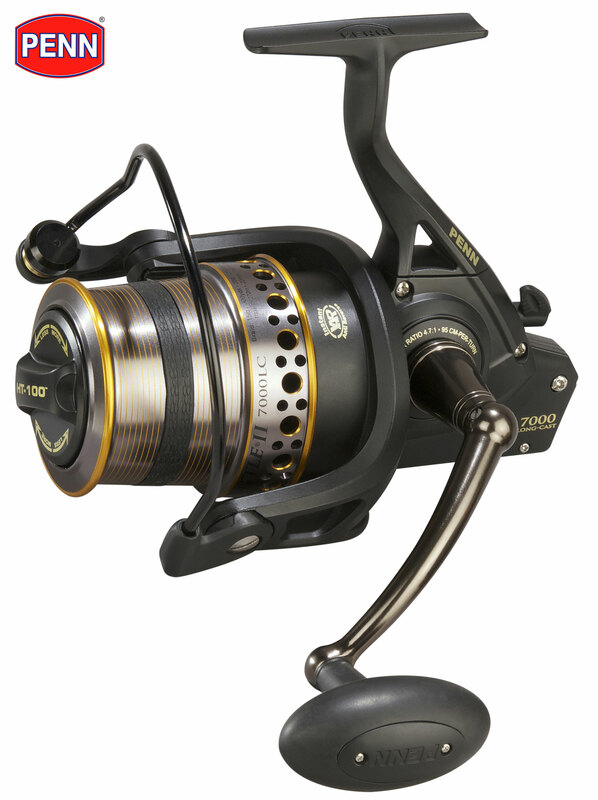 Unlike the system of peer-to-peer, the alarm line out of reel is made with a durable spring system.The noise-making line reel is shrill and very nice to hear the reel sing!!! As the capacity of the line, I filled up the reel with line 0.15 mm and fit 120 m. 0.20 mm. dial fit 92 m.
Its edge is reversed, which gives smoother on release of the line during the pitch, creating more distance and requiring less of the line. In there is a lead piece bail attached to it, to your balance. It actually removes all off of the crank, and consider better than the reels, something that I missed was the plant that exploded in the plant-bearing reel, and if somebody will need rolling plant here it is. The Fluting is introduced this way. This is the pine nut made in brass with your bearing. The Crown is in antimony, a metal for the construction of this piece in reels. When is tighten the bolts of the bearing anti-reverse, don’t tighten up “take juice let off slightly, so that the handle stay soft to collect. When I disassembled the reel, I noticed that one of your bearings, which gives support to the pinion showed signs of rust, just removed it, put it in the Diesel oil for 2 hours and then I started cleaning it, rust only eroded the outside, but when you are purchasing this reel, I recommend that you open it and the grease completely in this quoted bearing grease and I never had problems with him (when your bearings lubricate the REEL, do the operation with grease, since different from reel, no bearing has great rotation in the pitch, they are only used in the softness of the equipment, the single bearing that should take is the distributor of oil line should be as loose as possible to avoid twisting the line. His painting is tough, almost no noticeable scratches in the paint, even chrome parts which usually bark, in Tiga she is resistant to scratches. Your knob is rubber, your design is comfortable, but it is a little small, but for the size of the reel is even acceptable, however if the knob was bigger, the comfort was another. Position the anti-reverse turned on. To start, let’s talk about pitch, tiga is great, with a 1.40 m. moderate action and a lead of 3 g 3 g more bait, generating 6 g. in total, your pitch was great, from 17 to 22 meters, with heavy baits 12 g. the distance increased to 27 meters, and with 20 g. the distance went to 35 metres away. The weight of this reel is 171 g. no line. a good weight for the size. His collection of 5.2:1 collects approximately 50 cm in line for full turn on crank, standard for reels, with that amount of line collapsed, only the jigs and the half-water are worked well, surface lures that require higher recoil is not so advisable to use reels, to my point of view the Tiga 400 is a good natural baits in fishing equipment in rivers and dams on small and medium-sized fishing fish on ultra-light mode such as: Pacu, tilapia, Carp, small, minor Peacock bass Traíras, etc. In fishing for large Tambacus and Tambaquis he resists very well trawling them, even the strong races, but be careful not to run out of line, as the bigger problem is the line that does not support as much traction and not the reel.